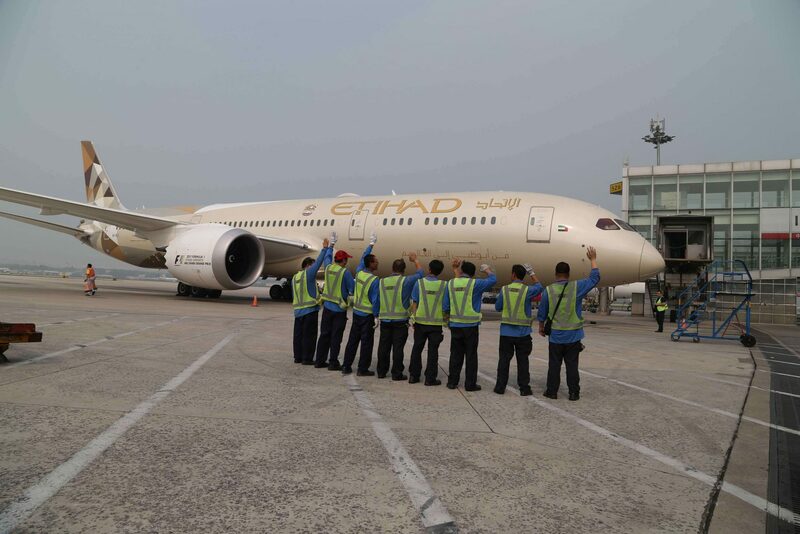 Etihad Airways has begun flights to Beijing using a Boeing 787-9 Dreamliner, which features next-generation Business and Economy Class seats. It will operate with 299 seats – 28 in Business Class and 271 in Economy Class, representing a 14 per cent capacity increase. Image: Ribbon-cutting Ceremony with Mohammad Al Bulooki, EVP of Etihad Airways; Peter Baumgartner, CEO of Etihad Airways; H.E. 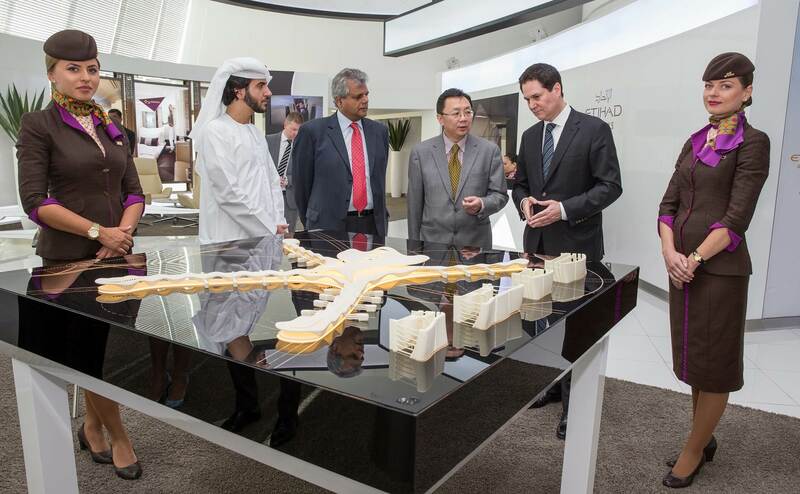 Ni Jian, Chinese Ambassador to the UAE; H.E. Saif Saeed Ghobash, Director General of Abu Dhabi Tourism & Culture Authority.